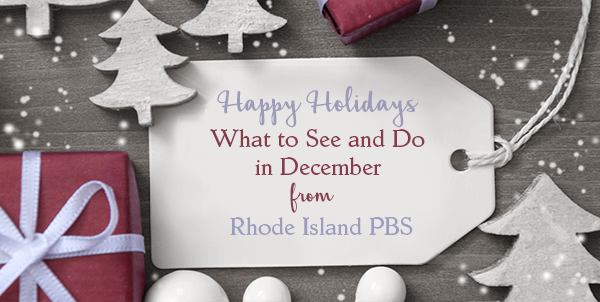 Each weekday at noon from Monday, December 17 through Christmas Day, December 25, we'll feature a holiday music special. Jordan Smith Tis the Season stars Jordan Smith, season nine winner of NBC's The Voice (and biggest selling The Voice artist to date), in his very first one-hour concert program. Taped on the Evergreen Stage at Diadan Studios, the special spotlights music from Jordan's Christmas album "'Tis the Season," and features special guest David Foster, the legendary composer, songwriter and producer. St. Thomas Christmas: So Bright the Star celebrates the Advent and Christmas season by drawing from a songbook of familiar traditional carols and innovative contemporary selections. Hope College Christmas Vespers is a holiday tradition for many families from West Michigan and around the country since 1941. This program is a celebration of the true spirit of Christmas and features some of the most beautiful choral and instrumental music of the season. Holidays at Murray State highlights the Murray State University Concert Choir, Wind Ensemble, Jazz Orchestra and Voices of Praise in this annual seasonal special, with a sojourn in sight and sound through Murray State University and the Purchase area of western Kentucky. Sugarplum Dreams: Staging the Nutcracker Ballet goes behind the scenes of the 43rd annual presentation of this classic colorful production by the Ballet Theater of Indiana University's School of Music, showing the preparation, talent and sheer effort exerted to bring this production to life. Christmas in Christ Chapel at Gustavus, a tradition since 1973, is a time for the Gustavus Adolphus College community in St. Peter, Minnesota to celebrate the holidays with one another. More than 300 students, faculty, and staff bring the program to life each year through the use of music, dance, spoken word, and the visual arts. 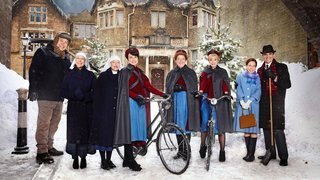 Plus, on Saturday, December 22 at 8 p.m., tune in for the Call The Midwife Holiday Special 2017. As a special treat, enjoy an encore presentation Christmas afternoon at 2 p.m.